I would like to know how to change the system icons in Windows 7. Please let me know the procedure to do it. How to customize the look of Icons in windows xp? How to restore Icons, Wallpaper & System Tray after System Quiesce in Windows XP? Right click on the desktop and select properties. Click on the Desktop tab followed by Customize Desktop. From the ‘General tab’, click on the icon which needs change and select ‘Change Icon’. Select the Browse button and choose the folder on which icons are saved. Click on ‘View Menu button’ followed by ‘Thumbnail’. Click on the specified icon and click ‘Open’. Double click ‘OK’ once you changed the icon. Choose Personalize from the menu. In that click Change desktop icons in the upper left corner. Select the icon you wish to change below. Click the Change Icon button to open the Change Icon window. In the Change Icon window, click the Browse button. Use the file selection dialog to locate to the folder that contains the icons you downloaded. Choose the file you want to use as a replacement and click Open. Click OK in the Change Icon window and in the Desktop Icon Settings Window. 2.Choose Personalize from the menu. 3.In the window that appears, click Change desktop icons in the upper left corner. 4.Select the icon you wish to change below. 5.Click the Change Icon button to open the Change Icon window. 6.In the Change Icon window, click the Browse button. 7.Use the file selection dialog to locate to the folder that contains the icons you downloaded. 8.Choose the file you want to use as a replacement and click Open. 9.Click OK in the Change Icon window and in the Desktop Icon Settings Window. Right-click on Desktop and hit properties. Select the Desktop tab and hit on cutomize Desktop. Select the icon that you wanna change. Click on Change icon that will show the icon selection window. Click the browse button and go to the folder where you kept downloaded icons. Choose the one that you wanna be. Finally Hit on Apply and OK. There are 2 kind of ways by which you can change the system icons. I will tell you the easy way. Install an application which is known as "Tune up utilities"
This application allows you to totally custamize your computer and even change the startup music. There are many other uses of this application. Double click ‘OK’ once you changed the icon.changed the icon double click. 2.Select PROPERTIES from that context menu. 3.Click customize tab at the top of the top of the folder properties window. 5.Click browse in the change icon window browse the location of your downloaded icons files. 6.click on the icon you wish to use. Hiii friend...it is so easy to change system icons in windows 7..just follow the below steps..
1-Right click the desktop.Choose Personalize from the menu. 2-In the window that appears, click Change desktop icons in the upper left corner.Ensure that the icons you wish to be visible on your desktop are checked in the upper portion of the window and select the icon you wish to change below. 3-Click the Change Icon button to open the Change Icon window.In the Change Icon window, click the Browse button. 4-Use the file selection dialog to locate to the folder that contains the icons you downloaded.Choose the file you want to use as a replacement and click Open. 5-Click OK in the Change Icon window and in the Desktop Icon Settings Window and its done. These are the two easiest and most common methods for changing icons and applies to both Windows 7. 1) Right click the desktop. 2) Choose Personalize from the menu. 3) In the window that appears, click Change desktop icons in the upper left corner. 4) Ensure that the icons you wish to be visible on your desktop are checked in the upper portion of the window and select the icon you wish to change below. 5) Click the Change Icon button to open the Change Icon window. 6) In the Change Icon window, click the Browse button. 7) Use the file selection dialog to locate to the folder that contains the icons you downloaded. 8) Choose the file you want to use as a replacement and click Open. 9) Click OK in the Change Icon window and in the Desktop Icon Settings Window. 1) Right click on the folder whose icon you want to change. 2) Click on the properties, and then select the "Customize" tab. 3) There is an option in folder icon i.e "Change Icon", click on it. 4) A window will pop up. Select the desired icon, you would like to be displayed and click "ok"
5) Then "Apply" and then click another time "Ok"
!Watch Out The Video Below! Right on the desktop and choose personalize. Then in the personalization window select the change desktop icons in the upper left corner. In that window there are icons which checked on the check box appears on the desktop. Now select a icon and select change icon to change the image of the icon from the list. If you have downloaded some icons from the internet then click on browse and select the file you need. 1)Right Click in the desktop screen and select PERSONALIZE. 2)Click on the Change desktop icons. 3)In the middle pane, select (click on) a desktop icon that you want to change the icon for, and click on the Change Icon button. 4)Select a icon that you want to use instead, or click on the Browse button and navigate to the location of the icon you want to use. :: RIGHT CLICK ON THE DESKTOP. :: CHOOSE PERSONALIZE FROM HERE. :: A WINDOW WILL POP OUT NOW CHOOSE CHANGE DESKTOP ICON. :: A NEW BOX APPEARS. :: NOW MAKE CHANGES AS YOU WANT I MEAN TO SAY CHANGE THE ICON YOU WANT. :: CLICK ON APPLY AND THEN CLICK ON OK. THE DESKTOP ICON IS NOW CHANGED. -->Then select options are "ok" and "Apply"
-->Then automatically it is changed our selected icon.. I surely say that it is very easy to changing icon..
3.in the window that appears click change desk top icons in the upper left corner. 4 ensure that icons you wish to be visible on the desktop are checked in the upper portion of the window and select the icon you wish to change. 6.in the change icon window click the browse button. 7.use the following selection dialog to locate to the folder that contains the icons you downloaded. 9.click ok in the change icon window and in the desk top icon settings,thats it you are done. In the window that appears, click Change desktop icons in the upper left corner. Ensure that the icons you wish to be visible on your desktop are checked in the upper portion of the window and select the icon you wish to change below. yes it is very simple process following these steps. 2.right click on the desktop. 4.here you can select icon which type of you want. For changing system icons in windows 7....follow some easy steps. 1.Right click the desktop.2.Choose Personalize from the menu. 3.In that click Change desktop icons in the upper left corner. 2. then there is a window opened .......in that click on change desktop icons from the left side top options. Well Changing window icons in windows 7 operating system is very easy! This is the procedure for changing folder icon in windows 7 operating system! To change the icons of the Windows in Windows 7 do as i say. 1.firstly make a right click on the Desktop. 2.then click on the option 'Properties'. 3.Now click on the 'Desktop' tab. 4.There you click on the option 'customize Desktop'. 5.There you select the icon you want to change and then click on 'Change Icon'. 6.There you select the icon you like and click OK.
That's it by doing as i said you can change the icons in Windows 7. You can easily change System Icons in Windows 7. Firstly, right click on Desktop and choose option "Personalize". Now, click on "Choose Desktop Icons" in the left Pane. Here, select the icon which you want to change, and then click on Change Icon button. A dialog box will appear, now you can choose your Desired Icon and then press OK button to finish it. Download the icon files to your hard drive. Unzip their containing folder if necessary. Right-click on your desktop. Select "Personalize" from the drop-down menu. This will open a new window. Click the "Change Desktop Icons" link in the left panel to open the "Desktop Icon Settings" window. Select the icon that you wish to change. For example, if you want to change the icon for the Recycle Bin, select the Recycle Bin from the list provided. Then click the "Change Icon" button. Click the "Browse" button beside the "Look for icons in this file" box. Select the folder containing your icon files. All the icons within that folder will be displayed in the main panel. Click on the icon that you wish to use. Click "Ok" to set the icon. Repeat this step as needed. 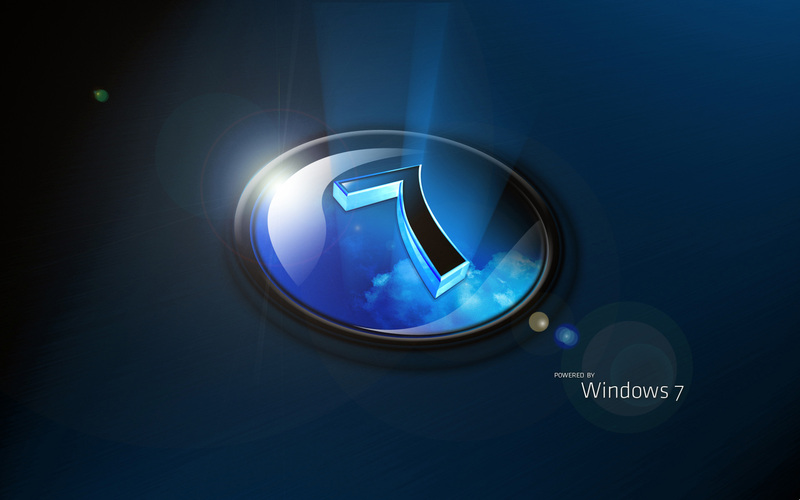 The following is the procedure for solving the problem of changing system icons in Windows 7. At first you have to open the desktop by pressing the right click. Then Tap on to the properties option. Now press the option of desktop. There you need to press the customize option. After that the icon is to be selected to change which you want according to your chocie. Then the change icon option is to be tapped. Now the icon which is desired is to be selected. 7.click the browse button beside the look for icons file in this box. It is easy to change the system icon in windows 7 , you just follow the below steps . => Select the personalize option . => On the upper left side you will show the option " Change Desktop Icons " click on it . => Select the item which you want to change the icon . => On the below select the icon for that selected item . => After selecting the item , press " Apply " and then " Ok" . Your system icon will be changed successfully . Then Click the " Change Desktop icons "
>>click on "Change Desktop icon"
>>Now select one icon from "Change icon" open window. You can follow this step to solved your problem.1.>at first click on desktop.2.>now right click on the properties option.3.>now a new desktop wizard will be seen, now click on customize desktop icon.4.>after that you can see a pop up dialog box, click on general tab on it.5.>customize the option change icon.6.>in this session you can manually provide windows icon.7.>you can provide icon from default or browse icon from your hard disk or any removable media.8.>now click on apply option.9.>then click on ok option.10.>hence your problem will be solved. 1. First of all you should go to My computer of the device. 2. Then click and open the option saying Desktop. 3. After that you should right click in that folder and then click on the option saying personalize. 4. Then click on the option saying Change Desktop icons. 5. After that you should choose the icon which you want to change and then click on the option saying Change. 6. After that choose new icons and save them. That's it and the icon on your computer will be changed. I am providing you some simple steps through which you can easily change the system icon on your computer. 1. Right click on the desktop, and select personalize. 2. Now click the "change desktop icons" link on the left side bar in the window. 3. Select the icon you wish to change, and click the Change Icon button. In Windows 7 you will also notice a box to choose whether or not to allow themes to change icons and you can uncheck it if you want to. 4. You can select one of the other included icons, or click browse to find the icon you want to change and then click OK.